Fermented skimmed milk drink with sugars and sweeteners. 0% fat. Contains Lactobacillus casei Shirota. Gluten-free. 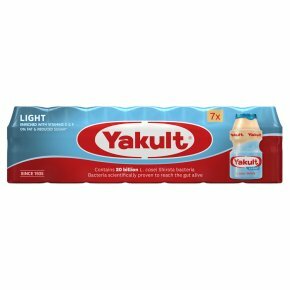 Suitable for vegetarians.Calorie reduced* Sugar reduced* * Yakult Light contains 67% less sugar and 37% less calories than the original Yakult.